Bankruptcy is a legal process where a debtor gives up most of their assets to get rid of their debts. The most common way for a debtor to go bankrupt is to voluntarily declare bankruptcy by making an “assignment in bankruptcy”. Client is so far in debt that they feel they have to “go bankrupt”, but does not know anything about the process. Client has several creditors trying to collect and feels that the debts owed are unmanageable. Client thinks they need to go bankrupt but has a number of questions for you, such as: How long will it take? What will I be left with? How much does it cost? Will I ever get credit afterwards? Are there any alternatives? Client has heard about a law that allows the client to get rid of debts by paying off a part of each debt to each creditor. This section discusses assignments in bankruptcy. Usually this involves a client working with a licensed insolvency trustee and volunteering to declare bankruptcy. While remedies (legal ways of enforcing a right or approaching a problem) under the Bankruptcy and Insolvency Act are very important for debtors, advocate involvement is limited because assignments and proposals must be handled by people authorized under the Act. There is no “do-it-yourself bankruptcy” in Canada, and lawyers and advocates cannot perform the functions prescribed under the Act. However, your role in these remedies is still important, and you must understand them so you can advise clients of all possible options for resolving a financial problem. An assignment in bankruptcy is a serious step; once the assignment is made, there is usually no way to reverse the process. Advocates may continue to provide assistance and support for debtors who are going through assignments or proposals. They may make a voluntary assignment in bankruptcy: This process is started by the debtor. They are forced into bankruptcy: A creditor can sometimes force a debtor into bankruptcy by filing a court action called a petition, and asking the court to declare the debtor bankrupt. The majority of consumer bankruptcies are started by voluntary assignments in bankruptcy. Creditors will only try to force debtors into bankruptcy when there are considerable assets available to be sold to pay creditors, and when creditors think they are not going to get any more money from the debtor through any other means. Petitions in bankruptcy are used much more frequently against businesses than individual debtors. are unable to file a viable proposal. It is possible to go bankrupt by owing money to only one creditor, but most people who go bankrupt have several creditors. Basically, the bankruptcy process involves debtors giving up most of their assets in exchange for having their debts eliminated by law. However, some assets are exempt and so can be kept by the debtor. RRSPs, RRIFs and DPSPs (Deferred Profit Sharing Plans), with the exception of contributions made in the last 12 months before the debtor went into bankruptcy, are designated exempt property under section 67 of the Bankruptcy and Insolvency Act. As well, all essential clothing and medical and dental aids are exempt. A bankrupt may also keep equity in their principal residence of $12,000 if the residence is located within the Metro Vancouver or Victoria areas, and $9,000 if the residence is located elsewhere in BC. If two spouses own a principal residence together and both declare bankruptcy, they may each be able to claim a $9,000 or $12,000 (depending on the location) exemption on the equity in that principal residence (see Re Halverson). In cases where creditors have security claims over a debtor’s assets, bankruptcy can be a particular hardship because the creditor is usually entitled to repossess the asset as soon as a bankruptcy is started. It does not matter if the asset is normally exempt from being sold off for the creditors. If an asset is subject to a security agreement (extra assurance for the creditor in case the borrower cannot repay a loan), even down to basic household furnishings, the secured creditor is legally allowed to take it and sell it. Debtors may be forced to make arrangements to repay at least the actual value of the assets, during or after the bankruptcy, to avoid having the assets repossessed. In some instances, a debtor will have to pay back some money to their creditors as a condition of their discharge. Courts are more likely to order partial repayment when the bankrupt has an income tax debt. The process begins when a debtor files an application for bankruptcy (called “the assignment”) through a licensed insolvency trustee. The application outlines all assets and debts, income and expenses, and other information about the debtor. The trustee handles the affairs of the debtor and completes their bankruptcy process. A government employee called an official receiver supervises the process and makes sure the law is followed. In most instances, a debtor goes to a trustee before making an assignment. The debtor may be referred to the trustee by a credit counselling service, a lawyer, or the official receiver. The trustee helps the debtor prepare the assignment papers. The trustee is usually then confirmed by the official receiver to handle the bankruptcy for that debtor. The most important effect of an assignment is that all legal actions by creditors against the bankrupt are stopped. Unless creditors get court permission, they cannot sue a bankrupt or take judgment enforcement proceedings (see the sections on Enforcing Judgments Against Chattels and Enforcing Judgments Against Land). Most insolvent individuals and families file for bankruptcy under the “summary administration” provisions because the value of their eligible assets is less than $15,000. Insolvency trustees are licensed by the federal government to handle a debtor’s bankruptcy process; only trustees who have a licence can do this job. Under the Bankruptcy and Insolvency Act, a trustee’s primary obligation is to the creditors of the debtor, not to the debtor. Trustees are usually accountants because lawyers are not given licences to administer bankruptcies. This reflects a long-standing legal view that the trusteeship obligation to creditors conflicts with a lawyer’s fundamental duty to their client, the bankrupt. However, lawyers do have a significant role in the bankruptcy process. If any matter in the administration of the bankruptcy is disputed, the matter will likely have to go to court. When bankruptcy matters go to court, all the parties are entitled to be separately represented: trustees, each creditor, and the bankrupt. Sometimes the cost of the bankruptcy can be a problem for a debtor. The starting fee allowed under the Bankruptcy and Insolvency Act for handling a summary administration bankruptcy is around $1,800 plus GST and counselling fees (Bankruptcy and Insolvency General Rules, Rule 128). A trustee’s fee for administering the bankruptcy must be paid by the debtor. Technically, a debtor does not pay a fee straight to the trustee for a bankruptcy. The Bankruptcy and Insolvency Act says that a trustee is to be paid out of whatever funds are obtained during the administration of a bankruptcy. The total fund that the trustee holds is called a debtor’s “estate”. This estate can be made up of money obtained from selling off the debtor’s assets, as well as from some of their income, which may have to be paid every month to the trustee. When there is little prospect for any assets to be sold off, and if the debtor has a very low income, there may not be an estate from which to take a fee. For this reason, a trustee may demand that a debtor get some money first to put into the estate to start the bankruptcy process. When the bankruptcy is finished, the trustee can then take that money. Usually, a trustee will want the debtor to pay most or all of the fee before starting the bankruptcy, because once a trustee agrees to take on a bankruptcy, it is essentially impossible for them to refuse to complete its administration. Some financing arrangements are possible. A trustee may do a bankruptcy with a down payment and a commitment for monthly payments to be paid into the estate. Trustees may demand that someone else guarantee those payments by putting up the money until the trustee gets all the bankrupt’s payments. Another option is to have the bankrupt sign over a post-bankruptcy tax refund or child tax credit to the trustee. However, such assignments have been found to be of “no force and effect” against the bankrupt (see Marzetti v. Marzetti). If the debtor may have trouble either paying the fee up front or making a payment plan, it may be wise for them to approach the Office of the Superintendent of Bankruptcy to inquire about the Bankruptcy Assistance Program. Under this program, the office may be able to connect the debtor with a trustee who is willing to take the case on easier terms than those usually required. The client must understand that trustees are not obligated by law to administer anyone’s bankruptcy. And even when they take on a debtor at the request of the government, it does not mean that the debtor will not have to pay anything for the process. A trustee usually requires the debtor to pay court filing fees. The trustee applies the normal bankruptcy rules to sell off any assets that are not exempt from the bankruptcy process, and may also demand that the bankrupt, if working, pay some wages into the estate. The Bankruptcy and Insolvency Act specifically requires debtors to obtain financial counselling during the bankruptcy process. The debtor is obliged to attend two counselling sessions following the assignment. Following the assignment in bankruptcy of the debtor and the appointment of the trustee, the trustee begins administering the bankruptcy. From the time of the assignment, the non-exempt assets of the bankrupt technically belong to the trustee, on behalf of the creditors. The trustee owns those assets for the benefit of the creditors. All those assets comprise the estate. The main work of the trustee is to determine what assets are in the estate, identify all creditors and how much they are owed, and divide up the available estate among the creditors. The trustee begins by locating the creditors. If they want to share in the estate, they must file a claim and have that claim accepted by the trustee. The trustee also works with the bankrupt to determine the assets in the estate. Sometimes assets must be sold and the sale proceeds are then paid into the estate. Creditors who hold at least 25% of the dollar value of the total claims filed may request a meeting of creditors. They must do so within 30 days of the assignment. The Bankruptcy and Insolvency Act treats secured creditors differently from other creditors. A bankrupt cannot claim exemption of assets covered by a security agreement. The result can be harsh for the bankrupt since it is possible in some cases for secured creditors to take almost everything a bankrupt possesses. For example, if a properly registered security agreement specifically covers a bankrupt’s present household furnishings, they could be taken. Creditors can take and sell the assets covered by the security agreement and may also be able to make a claim to the trustee for the balance. In practice, the creditor and the bankrupt may agree to avoid the seizure by having the bankrupt enter into a new credit contract to pay the creditor for the actual value of the assets covered by the security agreement. If a bankrupt owns a house, it may have to be sold, even if the bankrupt owns the house with a non-bankrupt person (including a spouse). The bankrupt is only entitled to a half-share of the net sale value of a jointly owned house. If half of the equity exceeds the exemption limit for a principal residence prescribed by the Court Order Enforcement Act, it must go into the estate for the creditors. An employed bankrupt who earns more than the amount set by the Superintendent of Bankruptcy will have to make monthly payments to the trustee for the benefit of the creditors from any income above what is reasonable to support the number of people in the bankrupt’s family and the bankrupt’s personal situation (called “surplus income”). When the trustee has completed the estate administration, the creditors are paid a share of the estate proportionate to the amount they are owed. The final steps for the trustee are to obtain a discharge from their duties and a discharge from bankruptcy for the bankrupt. In most cases, a bankrupt will receive an automatic absolute discharge from bankruptcy a specific period of time after filing their assignment in bankruptcy. As the discharge date approaches, the trustee must notify the government and the person’s creditors of the bankrupt’s right to an absolute discharge from bankruptcy. The creditors, the Superintendent, and the trustee all have a right to object to this absolute discharge. If no objections are received, then the bankrupt is discharged at the end of the applicable time period. The applicable period of time depends on whether or not the person has been bankrupt before and whether or not they have had surplus income during the bankruptcy. In the case of a first-time bankrupt, the period is nine (9) months if there has been no surplus income, and 21 months if there has. In the case of a second-time bankrupt, the period is 24 months if there has been no surplus income, and 36 months if there has. If there is an objection to the discharge, the matter goes to mediation or before a court official for hearing. If the bankrupt has been bankrupt before, the discharge must be heard by the court. When discharge hearings are required, bankrupt persons must make the applications themselves. All creditors who filed claims are given notice of the hearing. The various grounds on which creditors and trustees can object to a discharge are set out in the Bankruptcy and Insolvency Act. The grounds are broad enough that it is possible to object to any bankrupt’s discharge. The real reason that creditors object is that they hope the court will make an order that the bankrupt has to pay back a percentage of the money owed to all the creditors. This is called a conditional order. The condition could be that 25% to 50% must be paid to every creditor, through the trustee, before the bankrupt is finally discharged. If the judge decides to ignore the objections of the creditors, then the bankrupt is granted an absolute (unconditional) discharge and the bankruptcy process is over. In recent years, an increasing number of discharge cases have come up for discharge hearings. In part, this is simply because the number of bankruptcies has increased over the years. However, it is also because creditors appear to be objecting to discharges in more cases. Also, the Superintendent of Bankruptcy has been objecting in situations where the bankrupt appears to have been abusing the bankruptcy process. Persons who have gone through bankruptcy before may attract special attention. It is difficult to say with any certainty if a court will give an absolute discharge or impose conditions. Many factors are considered. One main factor is the behaviour of the debtor both before the assignment and during the course of the bankruptcy. For example, if the bankrupt has not cooperated with the trustee (for example, they have refused to pay a certain amount of wages every month), a judge may decide to give a discharge on condition that a portion of the wages be paid to the trustee for the following year or two. Another important factor is the kind of debts the bankrupt had. While there are very technical rules governing which creditors a person is ordered to pay as a condition for bankruptcy discharge, the courts feel some kinds of debts are more important to repay, at least in part, as a condition of discharge from bankruptcy. These include debts to the government for past income taxes, and debts arising from court judgments in motor vehicle injury cases. The debtor’s income situation is probably the most important factor in a court’s decision to impose repayment conditions for discharge. If there is little discretionary income after the debtor meets modest monthly expenses, there is little point in making an order for a large repayment. However, for people making a reasonable salary, the court is likely to make a conditional discharge order, even if the bankrupt’s behaviour before and during the bankruptcy was not criticized. The court may also impose conditions if the debtor emerges from bankruptcy with a large amount of exempt assets, such as RRSPs. In a very few cases, courts may make one of two other kinds of orders when a bankrupt is asking for a discharge. The court may suspend the discharge for a few months to a year to show the debtor that their behaviour in the bankruptcy was not proper in the view of the court. In extreme cases, a court may refuse outright to give a discharge. Note that this does not mean that a bankrupt will stay in bankruptcy forever, but that they must make another court application after a reasonable waiting period. 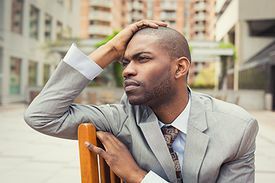 After discharge, a bankrupt is legally released from paying debts incurred prior to the assignment in bankruptcy, except those debts described in the Bankruptcy and Insolvency Act, section 178 (as discussed above). In addition, debts owed to creditors who were not notified of the bankruptcy may not be completely released. A debtor may choose to pay debts from which they have been released, but has no obligation to do so. The advocate’s role with most debtors is to provide guidance for the most appropriate remedy to resolve the debt problem. This requires the advocate to obtain full details of the debtor’s income and expenses, and assets and liabilities. The financial situation of a spouse may also be relevant. It is important to review the debtor’s financial circumstances over both the short term and long term. An assignment in bankruptcy is not appropriate if the debtor is only temporarily unable to repay debts. Bankruptcy is a final solution after all other alternatives have been considered or tried. It is not a short-term solution for someone who is temporarily unemployed, for example. If there is any prospect of future income that will allow a debtor to repay debts over a reasonable period of time, then bankruptcy should be avoided. To assess whether bankruptcy is appropriate, compare the level of debt to the level of income. It is not possible to set an arbitrary level and say, for example, that everyone who owes $5,000 should not go bankrupt, or that everyone who owes $50,000 should go bankrupt. For a welfare recipient, $5,000 in debts may well be enough to justify bankruptcy. For a doctor, $50,000 in debts may not justify bankruptcy. One question that often bothers debtors is whether they will be able to get credit after going through bankruptcy. It is difficult to give a general answer since each case is different but getting credit after bankruptcy may be a problem for a time. A person who is facing bankruptcy is probably not a good prospect for any, or increased, credit. Creditors will often warn that no bankrupt will ever get credit again. This is an exaggeration. There is no law that says that people who have gone through bankruptcy should not have credit. Bankruptcy does affect the debtor’s credit rating (see section on Credit Reports and Credit Ratings). A record of a person’s first bankruptcy can be kept on the debtor’s credit report for six years after their discharge from bankruptcy. This does not mean that the person cannot get credit for six years; it means only that any potential creditor who requests the debtor’s credit report will be aware of the fact of their bankruptcy. It is probably true that if creditors are aware of a person’s recent bankruptcy, consumer or mortgage credit may be refused, particularly if the creditor is a bank. It may be somewhat easier to obtain credit from a creditor who is also a seller financing a sale and getting a security agreement for the item sold. Thus, for example, it may not be too difficult to buy an inexpensive car on credit (assuming a debtor decides they absolutely need to buy on credit after a bankruptcy experience). If some time has passed since a bankruptcy, the likelihood of getting credit is greater, particularly when a pattern of stability of income and residence has been established. For example, a person who has had a steady job for a couple of years and who has lived at the same address for that time may meet credit-granting terms, even those of a bank. The advocate’s role in advising on bankruptcy will usually be to give general advice on the appropriateness of the remedy and to generally explain the process to the debtor. If bankruptcy appears to be appropriate, refer the debtor to a licensed insolvency trustee or the federal bankruptcy office. See also People’s Law School’s page on declaring bankruptcy, the guidebooks Discharge from Bankruptcy and Bankruptcy and Student Loans from Justice Education Society of BC, and the page “You Owe Money” from the Superintendent of Bankruptcy Canada. This page was last edited on 12 October 2018, at 08:05.